The city's removal of Confederate statues in the dead of night was Baltimore's latest attempt to make peace with the ghosts of the Civil War. Workers load statues of Confederate generals Robert E. Lee and Thomas &apos;Stonewall&apos; Jackson on a flatbed truck in the early hours of August 16th, 2017, in Baltimore, Maryland. We were all in the dark, on the edge of the wooded park known as Wyman Dell, opposite the Baltimore Museum of Art. It was 2 a.m. Wednesday, and despite the presence of a couple of dozen workers in hardhats, a huge crane, a flatbed truck, and a couple of other pieces of heavy machinery, the work site, surrounded by police tape, was remarkably still. 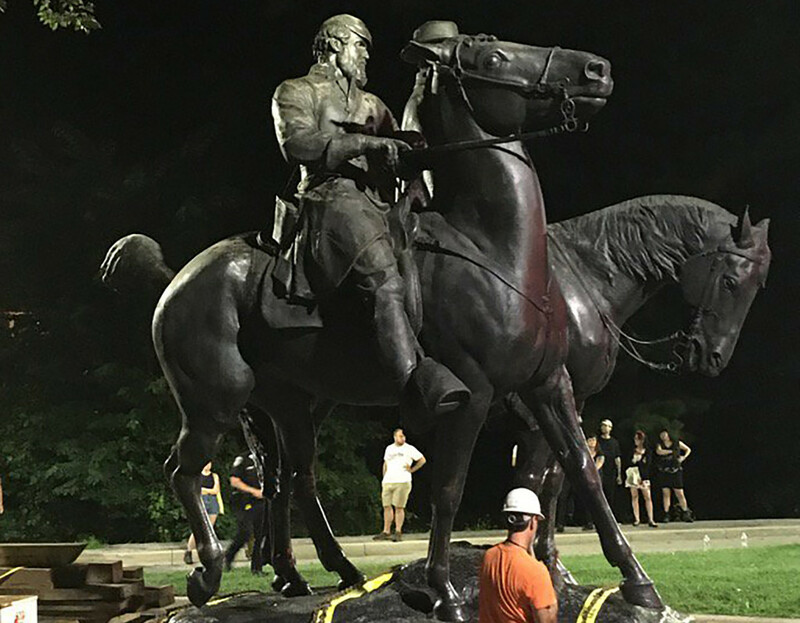 All of us—the workers, the cops, the mayor, scattered reporters and onlookers—watched the focus of the work, an imposing sculpture of Confederate Generals Robert E. Lee and Stonewall Jackson, each on his horse. The crane lowered a big harness dangling from a red metal hook. One worker clambered up on a ladder to fit the harness around the prodigious girth of the generals&apos; steeds. There was much adjustment and anticipation. Suddenly, with a lurch, up Lee and Jackson went, wrenched loose from the stone base where they had rested for nearly 70 years. They dangled a bit and then came the big swing up into the trees, making their horses look like nothing so much like flying twin Pegasuses with warriors mounted on their backs. And then they dropped to the ground, where, off of their stone base and in the shadow of the trees, the generals really did look awfully life-like, as if they might still be trotting across the battlefield at Chancellorsville. This was what a stealth operation against one of the darkest legacies of American history looked like. 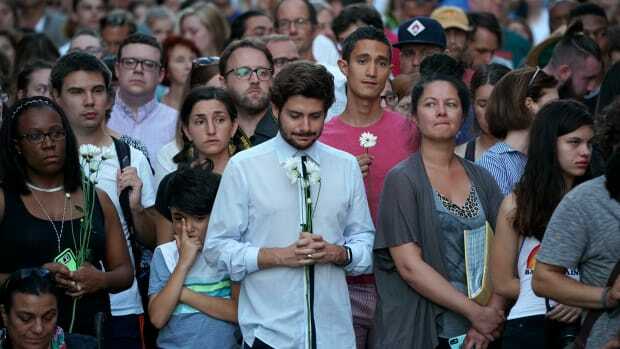 The fate of the double-equestrian statue had been in question for more than two years, ever since a white supremacist shot to death nine black churchgoers in a Charleston, South Carolina, church. It set off a citywide debate over four Baltimore monuments to the Southern cause in the Civil War. 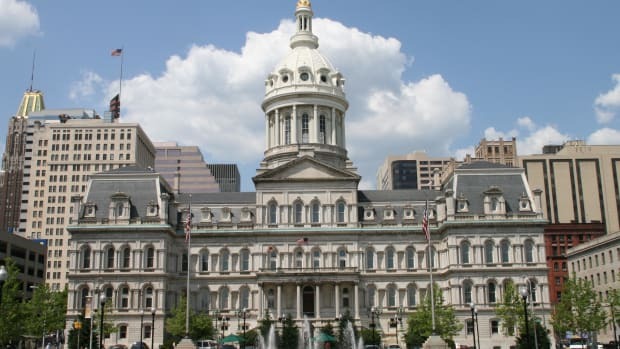 Then the deadly violence in Charlottesville last weekend, perpetrated by white supremacists trying to preserve a statue of Lee, galvanized the Baltimore City Council, which after a vigorous debate in open session voted unanimously on Monday to proceed with the removal. The post-Charleston debate in Baltimore had been quite open, complete with letters to the editor, a task force, and commission report, which had recommended the removal of the two most prominent of the four monuments. But the actual removal was anything but public, which was a telling sign of what extraordinary divisions still linger from a war that concluded at Appomattox more than 150 years ago. And yes, those divisions linger even in a city that was, technically, on the Union side in the Civil War. If anything, the complexities of war&apos;s legacies in Baltimore demonstrate just how deeply those legacies are woven into the fabric of the country as a whole, and not only in the Deep South. Some historical context is in order. 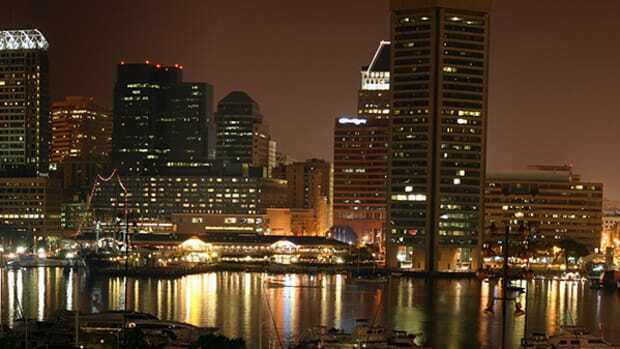 Maryland was still a slave-holding state at the outset of the Civil War, but Baltimore itself had, by virtue of being an industrial city that had grown up around mills and shipbuilding, relied far less on slavery than the plantations in the southern and eastern reaches of the state, a difference which had long caused friction between the upstart city and the plantation owners who dominated state government. What slavery did exist in the city often took on an idiosyncratic nature, a fact that Frederick Douglass commented on when he arrived there from Maryland&apos;s Eastern Shore—slaves in Baltimore were often held on a term basis resembling indentured servitude, or "worked out" to shipyards by owners who, in some cases, would let the slave keep some of his wages to save up toward purchasing freedom. By 1860, Baltimore had the largest concentration of freed blacks of any city—in the 1860 census, more than 90 percent of blacks counted in the city were free. Regardless of its relative lack of reliance on slavery compared with cities further south, though, the city was, by 1860, starkly divided between unionists and secessionists; many of its merchant elite hailed from further south and entertained romantic sympathies for their home region. Politically, the city was so dominated by conservative Democrats ("Copperheads") that Abraham Lincoln got fewer than 1,000 votes there in the 1860 election. The Baltimore Sun called his election an "offensive triumph," labeled him an "exclusively sectional candidate" and warned that he would "rule with authority over the people of the sovereign states, who reject his principles and avowed policy as in direct conflict with their constitutional rights, their institutions, their interests, their equality in general confederacy, their honor, dignity and self-respect." Not for nothing was Lincoln slipped secretly through Baltimore under the guard of Pinkerton detectives en route to Washington. The rumblings of war greatly heightened the city&apos;s internal tensions. When Lincoln called in April of 1861 for 75,000 troops to protect Washington, a regiment from Massachusetts and unarmed volunteers from Pennsylvania were met with fierce resistance as they tried to transfer from one train station to another in Baltimore. Violence flared and, by day&apos;s end, about a half-dozen soldiers and dozen local resisters were dead—that April 19th riot was, by some reckonings, the first blood of the Civil War. Maryland&apos;s pro-slavery governor moved to destroy rail bridges into the city to bar further troops, but Lincoln trumped him by ordering that troops from then on bypass Baltimore by ship. The state remained in the Union, but barely. Secessionist leaders pushed for a convention to vote on the matter, but there were by that point so many federal forces in Annapolis and Baltimore that the convention had to be held in Frederick, to the west, in relatively pro-Union territory. The vote failed, and on the train back east, federal forces arrested some pro-secession delegates, helping set in motion the debate over Lincoln&apos;s suspension of habeas corpus. Baltimore&apos;s mayor and police commissioners were also jailed. To further make his point, Lincoln famously had the cannons on Federal Hill, which protected Baltimore&apos;s Inner Harbor, turned inward onto the restive city. By some estimates, as many as 30,000 Maryland men are estimated to have fought for the Confederacy—though in making the case for the removal of two of the statues last year, the city&apos;s task force on the issue asserted that those serving in the Union Army from the city had outnumbered those heading South by a 2–1 ratio. Regardless, the most consequential Confederate sympathizer lurking in the city was not a rebel soldier in arms but a native of nearby Harford County, John Wilkes Booth. The tensions outlived the war. When Confederate soldiers returned home to the city, Unionists argued for their expulsion. Meanwhile, the city swelled with African Americans liberated from the plantations of Southern Maryland and points south, to the consternation of city leaders. "History furnishes ... no record of a successful intermingling between the great divisions of mankind," warned the Sun in 1865. Two decades later, the paper argued that the best solution would be to "let the colored people dissipate away." But they did not: By 1890, 67,000 of the city&apos;s 440,000 residents were black. By 1940, after the first wave of the Great Migration, Baltimore had the highest proportion of blacks of the country&apos;s 10 biggest cities—a fifth of the city, 168,000 people. The mobilization for World War II brought tens of thousands more. Throughout these post-Civil War decades, the ghosts of the war lingered in the city, and concrete evidence for this were the monuments erected by wealthy Southern-sympathizers as they sought to rebrand the Lost Cause away from the defense of slavery and toward the defense of state&apos;s rights. A statue of Roger Taney, the Supreme Court justice who authored the Dred Scott decision, went up in Annapolis in the 1870s; a replica eventually ended up in the heart of Baltimore&apos;s elegant Mount Vernon Square, not far from the column that is the Washington Monument. 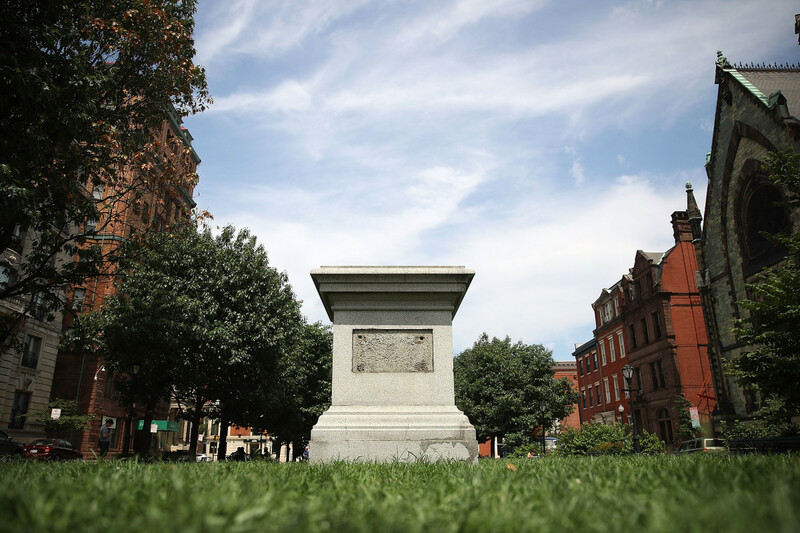 An empty pedestal remains where a statue of Roger B. Taney, former Chief Justice of the U.S. Supreme Court and majority author of the Dred Scott decision, once was before city workers removed the statue on August 16th, 2017, in Baltimore, Maryland. But the monument building far outlived the last Confederate widows: The biggest of them all was the double-equestrian sculpture of Lee and Jackson, and it was not commissioned until the 1920s and not completed (by a female sculptor, Laura Gardin Fraser, on a base designed by noted architect John Russell Pope) until 1948. It was hardly an accident that this giant piece (the first double-equestrian sculpture in the United States) was being constructed as Baltimore&apos;s growing black population was forcing the issue around the city&apos;s profound segregation, which was exacerbated by redlining and explicitly racist city ordinances and was already, by the 1940s, taking the next ugly turn toward panic-selling, block-busting, and rampant white flight. And the war did not just live on in the monuments. One year after the Lee-Jackson sculpture was completed, in 1949, Matthew Crenson moved into his family&apos;s new home, near Chinquapin Park in the northeast part of the city. He recalls that the other boys in the neighborhood immediately demanded that he reveal his rooting sympathies—and it had nothing to do with sports. "I was asked to declare if I was Union or Confederate," he told me. "And when we&apos;d divided up, we&apos;d throw rocks at each other. So it was still alive then." By the late 1980s, Baltimore was majority-black and had elected the first of several black mayors. Today, it is more than 60 percent African American and, in presidential elections, it votes overwhelmingly Democratic. Yet the monuments had remained—even as the Lee-Jackson one became, over time, a favorite meeting point of the Sons of the Confederacy. Crenson, who recently retired from a career of teaching political science at Johns Hopkins and is about to publish a major work on Baltimore&apos;s political history, sees the endurance of the monuments as a sign of one of Baltimore&apos;s starkest characteristics: its avoidance of difficult conversations about race. Baltimoreans are fixated on race, but, he says, have generally preferred to keep the discussion private, under wraps—more so than is the case in, say, Chicago. Of course, that discussion was thrown into the open in the spring of 2015 with the death of Freddie Gray from injuries sustained while in police custody, and the protests and unrest that followed, which have, in turn, been followed by a devastating, unprecedented spike in the city&apos;s already high rate of gun violence. Then, in June of 2015, came the Charleston church shooting by a young Confederate sympathizer. Community leaders and activists in Baltimore joined their counterparts elsewhere in calling for the statues&apos; removal. 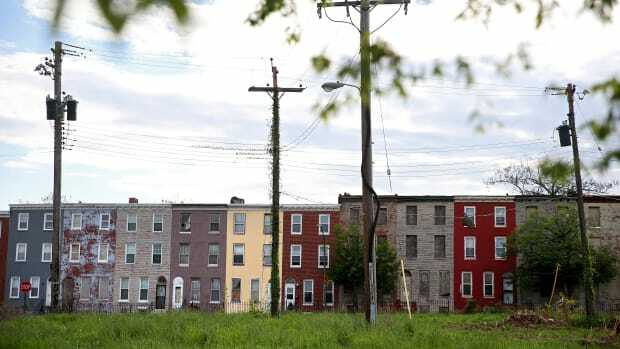 Then-Mayor Stephanie Rawlings-Blake appointed the task force, which recommended that Taney and Lee-Jackson come down, and the matter was left to the next mayor, Catherine Pugh, to resolve. Pugh has been preoccupied with other matters, notably the ever-spiraling homicide rate. Until this week—with the deadly violence in Charlottesville and the strikingly ambiguous response from President Donald Trump. "This is a debate that has now been forced into Baltimore from other parts of the country," Crenson says. "The pattern of Baltimore from very early was not to talk about race and slavery but to equivocate about it." The dispatch with which the council and then the mayor acted this week has caused wry amazement in a city accustomed to much slower response on everything from the homicide rate (it has taken Pugh months to develop a comprehensive plan to address the violence) to a faulty sewage system to the construction of bike lanes. But the city was facing the real prospect of strife over the monuments—an activist group was organizing to topple them, and it was not hard to imagine that virulent defenders would arrive en masse, as happened in Charlottesville. Early Wednesday morning, as we watched the statues being lifted, in a final indignity, onto a humble flatbed truck, the few onlookers who remained cheered. One lone agitated opponent, a local man who had come to watch with his wife, loudly insisted that the money to do the work would have been better spent on other things in a city overwhelmed by crime, drugs, and lackluster schools. The generals sat forlornly on the trucks for quite some time. A few fits and starts by the truck, and then, right around 4 a.m., they finally pulled away, southbound along Art Museum Drive toward Howard Street, to a location and fate that the city declined to disclose. The mayor, looking on in blue jeans, said nothing before getting back in her black SUV to be driven home. But a few hours later, she had this to say to the Sun: "We moved quickly and quietly. There was enough grandstanding, enough speeches being made. Get it done. It&apos;s done. They needed to come down. My concern is for the safety and security of our people. We moved as quickly as we could. ... I did not want to endanger people in my own city." A few hours earlier, after the monument was driven off and the cops were gone, a few activists had clambered up onto the base for a victory pose. They were amused to find three small St. Jude medallions—St. Jude, patron saint of lost causes. "Thats some 1948 moss," one activist said, looking at the green scrub where the generals had stood. But the moment had an anticlimactic feel. Maybe because the activists were hoping to topple the monument on their own. Maybe because the tragedy in Charlottesville still hung in the air, alongside the growing bewilderment of the Trump presidency. Maybe because they knew the city still faced so many, less easily solvable ills. Or maybe because the monument&apos;s removal was so very long overdue that the accomplishment of that act was, after all, a hard thing to celebrate. This post originally appeared on ProPublica as "A Stealth History Lesson in Baltimore" and is republished here under a Creative Commons license. Tenants allege that a property management firm controlled by Trump son-in-law Jared Kushner's real-estate company has unjustly charged them fees and threatened eviction to make them pay up. 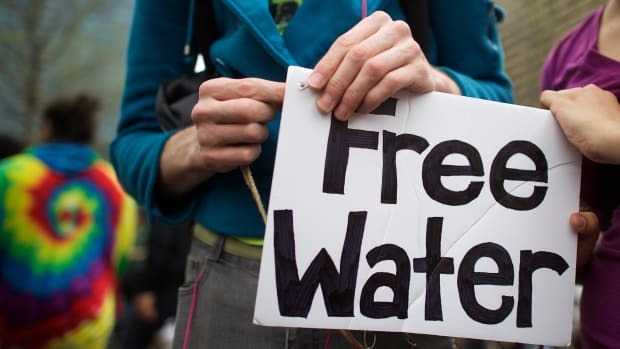 This November, voters in Baltimore will decide on a charter amendment that would ban water system privatization preemptively. 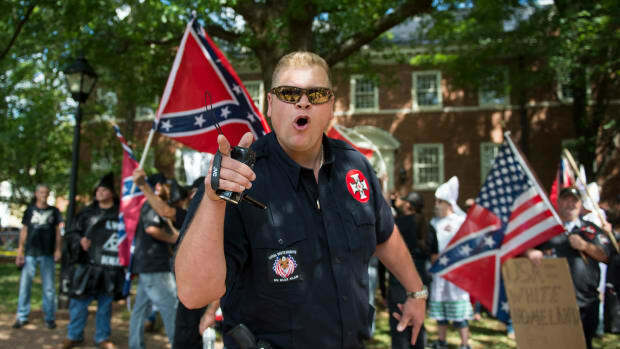 Charlottesville has come to define the nature of modern racism primarily as southern, embodied in tiki torches, Confederate flags, and violent outbursts, but that belies the insidious roots of racist policy in the north. With a new school year underway in Charlottesville, here's how teachers are addressing the recent violence. Maryland State Delegate Jill P. Carter speaks to Pacific Standard about the promises and perils in Baltimore. Someone tell the mayor of Baltimore that there are more important things to focus on than population growth.